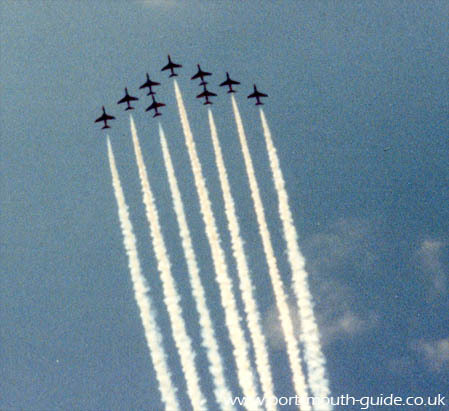 The Red Arrows have been regular visitors to Portsmouth in the past few years. They have performed during the D-Day commemorations and LE-Tour these are just a couple of examples of their displays. The above photo is part of the display they did during Le Tour De France in Portsmouth. The Red Arrows are a display team formed with people from the RAF. They perform displays all round the world at different air shows and events.